stockholm travel journal redux. i’ll be posting these till every last page is uploaded so if you’re wondering when i’m going to hop off the one-track-mind train and get onto something else the answer is not until i’m done. i’m programmed to stay on the hamster wheel. mama moss wrote the code for how my brain is wired. and she isn’t around to change it, so it’s staying as is. can. not. multi. task. on most things. i can however eat caramels on busses in foreign cities while making videos and reading my bus map. thanks for not caring and letting me ramble on about any old thing i want. you’re nice. i figured out that if you just do a search in either feedly or bloglovin’ for my dispatchfromla.com feed ( the new one has very few subscribers, so it’s easy to identify) you can add me to your list of blogs you follow to get me back in your pocket. just unsubscribe from the other one and you’re good to go. unless i jump out. of your pocket i mean. i can be impulsive. always enjoy your journal pages and loving how big and bold they are here on wordpress. So so cool. Keep sharin’ em cuz I’ll keep lookin at em….I think you are wired just fine Miss Mary Ann. Mama Moss done good!!!! 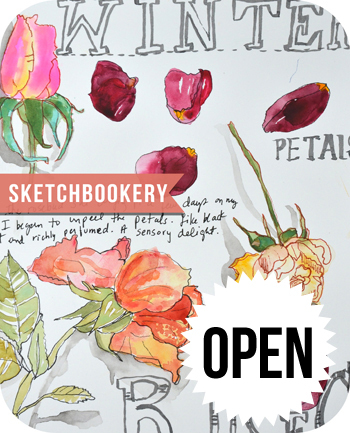 Loving all of it – your sketched roses from yesterday’s post especially so! I’m like you, got to do one thing at a time, please, and finish that before I go onto the next thing. Mary Ann, you read my mind when you wrote this blog, which I really like even better now that it’s on WordPress, about being obsessed and being on the hamster wheel! I think Julie Fei-Fan Balzer put one of your hand-drawn Sweden maps on her most recent blog. I also love Julie. Did you like my recent blog with art by myself and two children done in Texas? p.s. I like that your photo is on your blog now. I’m not very photogenic, so my photo is extremely softened. Love your Stockholm journal! Please do keep posting. It’s fun to visit Sweden vicariously through you. I’m going to Scotland soon and have prepared my travel journal based on your Ticket to Venice class. You are an inspiration! Ramble on! I am enjoying every minute.Especially love your Friday page. Well done Ms. Moss! Your Stockholm journal is so lush and nuanced! Layers upon layers of image, text and color and studying the pages is like a treasure hunt. I always find some little gem tucked away, that I almost missed. Your oh-so-personal journals have given me “permission” to follow my own idiosyncratic path to travel journaling. You are the travel journalling standard bearer, in my humble opinion. Thank you so much for sharing your adventures and your beautiful, complex journals. This travel journal journal is freakin amazing! I can hardly stand it, it makes my heart palpitate……soooo goood! Love every last bit, I hope I can look at it forever! 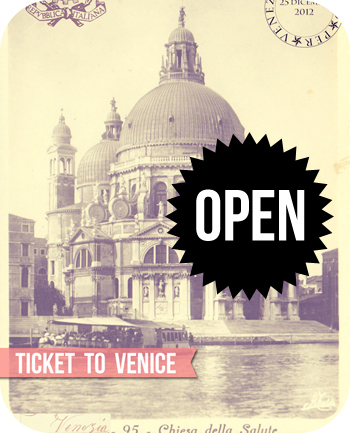 This would be my idea of your perfect next class; your new style of Ticket to Venice meets Sketchbookery. Swear to God, this is your most visually exciting period evvah! It makes my heart leap. please don’t stop until we’ve seen every luscious page, all your scribbles, the watercolor masterpieces and any dancing bears. we leave on our own adventure in 14 days and i am soaking up ALL the inspiration before we depart!